Granite City Gearheads » Blog Archive » Charging Ahead to Pre-Competition! Posted by daviddalegearhead On February 13, 2018 Comments Off on Charging Ahead to Pre-Competition! 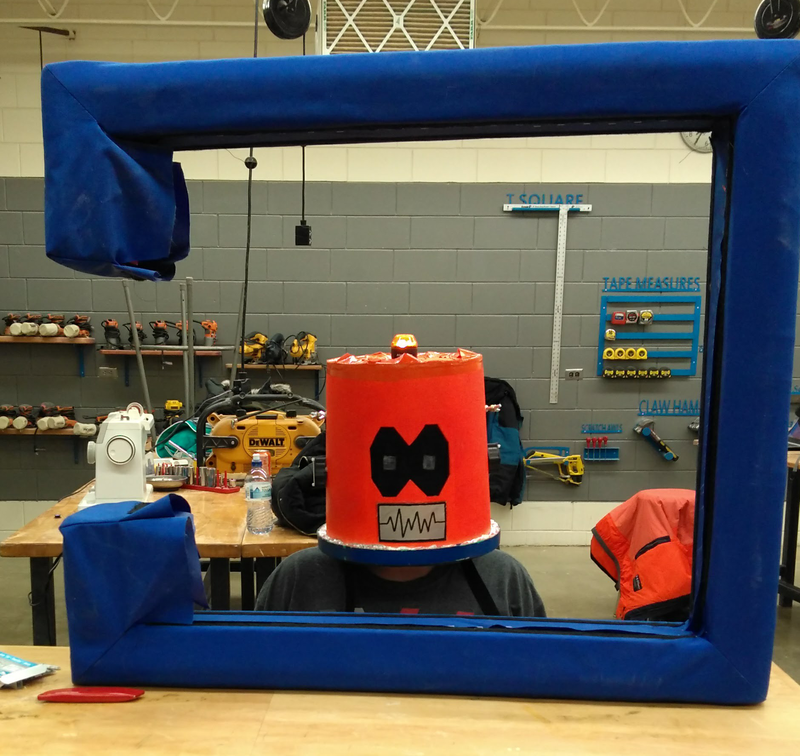 We're in Week Five of Build Season, and rushing to put the last few finishing touches on our robot. We just finished most of our wiring last week, and the robot can move around a bit – check out the scissors lift below! One of our bumpers is done. We love the one-piece style because they are much easier to put on and take off in the pre-match rush – so much easier than putting on three or four different parts. Our lighting system is also taking shape – still have quite a bit more Arduino code to go, though! We want to change the patterns to provide feedback to our drivers on the field. We've also gotten the power cube pickup claw's motion to work. A few of the features are still in progress – we're still working on the climber that will go on the other end of our scissors lift. With any luck, that will be done by Friday – because we want to test it out at our precompetition on Saturday! We'll be headed to Circle Pines, MN (a small suburb in the northeast metro area), and going to Centennial High School to participate in a pre-season competition. A pre-season event is especially valuable for our team because it provides us with an opportunity to test our robot prior to our regional, where every last bit of performance counts. We'll both catch problems early, and get a better idea of what tactics do and don't work on the field. While these are only practice matches, we're excited to go, and we'd love for you to join us! Drop in at 9AM (or as soon as you can make it) to cheer us on!